The special edition model had played a small part in the Mk 1 Polo’s history, the denim-upholstered Jeans of 1976 and the highly-equipped run-out 1981 LX being the versions of note. But, the arrival of the second-generation Polo in 1981 ushered in a whole new era of special editions which would litter the car’s life from the start until its face-lifted end in 1994. 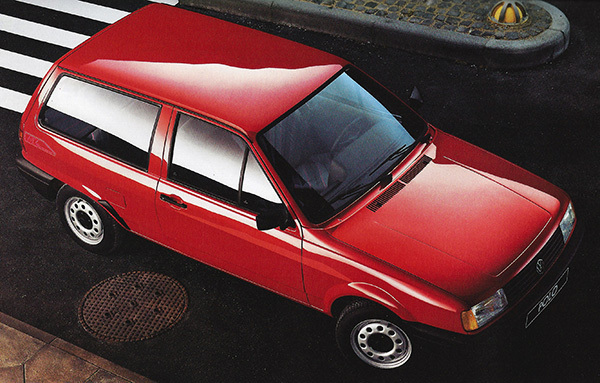 Arguably the most prolific and the most popular, the Fox arrived 30 years ago in 1984, and was to eventually become a mainstay in the second generation Polo line-up. From special edition to permanent base model, the Fox started life as a unique Polo hatchback, but subsequently appeared as a coupé, both in pre- and post-facelift versions. Here is its story. 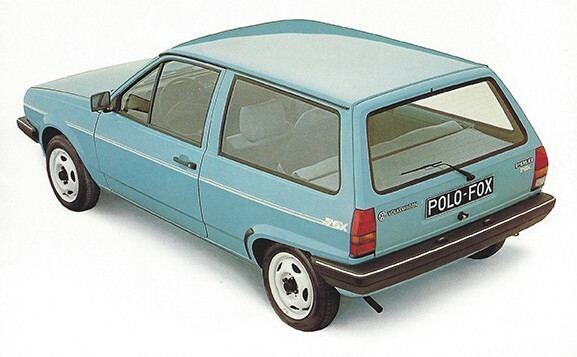 The first Polo Fox appeared in June 1984, based on the basic version of the estate car-like Polo hatchback. Marketed with the headline ‘Polo – Fun at a great price. The new Polo Fox.’, it was easy to identify. A choice of two unique colours – Türkisblau and Saimagrün – marked it out as something different. Both models featured colour-coded steel wheels (white on Türkisblau cars and Saimagrün on Saimagrün versions), special flank and rear hatch ‘Fox’ graphics, while Türkisblau models featured white bumper pinstripes and white badges front and rear. Saimagrün versions meanwhile had Saimagrün rear badges and a similarly-coloured Volkswagen badge on the front grille. Inside, unique exterior body-coloured padded seats featured imitation leather upholstery and head restraints, and a simple canvas cover for the luggage compartment was fitted. The Fox was powered by the second-generation Polo’s most basic engine, a 1043cc petrol unit, developing 40bhp. The 4.5-inch wheels and 135 SR 13 tyres were driven through a four-speed manual gearbox. Price was DM11.490. The first revision to the Fox came in February 1985. Two new colours were added, and some extra equipment was gained. The colour palette broadened to include black and white (Alpinweiss), and all models received flush painted wheel covers. Tyres grew to 155/70 SR 13 in size. Interior colourways remained the same, with either Türkisblau or Saimagrün-coloured seats. The exterior colour combinations grew to include the two additional colours. Türkisblau and Alpinweiss cars featured white painted wheel covers, badges, and bumper strips, while cars in the latter colour had black side stripes and ‘Fox’ decals. Interiors of both featured the garish blue upholstery. Black and Saimagrün versions meanwhile had Saimagrün wheel covers, badges and seats, while black cars had the same colour ‘Fox’ decals, side stripes and bumper trim. Saimagrün models featured black exterior flank decoration. Engine choice remained the same. Introduced in August 1985 for the 1986 model year, the Polo Fox gained a coupé version. Based on the ‘sports’ Polo bodystyle, equipment mirrored that of the hatchback. Both models now featured dark grey/light grey or red/light grey ‘Checkweave’ quilted seat upholstery, body-coloured flush wheel trims and white badging and bumper pinstripes. Standard colours were Tornado Red, Cloud Grey, Black or Alpine White. Tyre size went down to 145 SR 13 (with the previous 155/70 SR 13s available at extra cost), while optional kit included ‘Alpha’ and ‘Beta’ radio systems (the Fox came with no radio), passenger door mirror, roof rails on the hatchback, intermittent wash/wipe system and halogen H4 headlamps. In the UK, the marketing message for the new Polo Coupé Fox was clear: ‘Drive into fashion’ left prospective owners that this was a small car aimed at stylish drivers. UK buyers had ears, too – a two-waveband five-preset Blaupunkt ‘Hamburg’ radio was fitted as standard, along with a centrally-mounted dashboard speaker. In 1987, while the white pinstripe in the bumpers and coloured badges remained, the Fox lost its distinctive side stripes and decals (no doubt because there was a choice of up to 16 body colours in selected countries). Wheels were still made from steel, but now featured star-shaped black plastic inner trims, in common with other Polos of the time. Green heat-insulating glass kept the cabin warm. One of the biggest changes was the introduction of a 1272cc engine in selected markets. Alongside a revised version of the 1043cc unit (now liberated with an extra 5bhp), the 1.3 had 55bhp. In certain mainland European markets, a 45bhp 1272cc diesel model was also available. Now a permanent model and no longer the most basic version, the Fox also featured equipment denied the entry-level ‘Polo’ including a padded steering wheel, centre console, and intermittent wiper setting. Standard colours were Black, Cloud Grey, Tornado Red, Marine Blue and Alpine White, with Helios Blue metallic, Atlas Grey metallic, and Diamond Silver metallic available as special options. UK-bound versions of the Polo Fox hatchback gained a passenger door mirror and locking petrol cap in 1989. Royal Blue Metallic was added to the optional colour palette for cars with dark grey/light grey upholstery, while red/light grey interior models could be painted in Atlas Grey Metallic at extra cost. 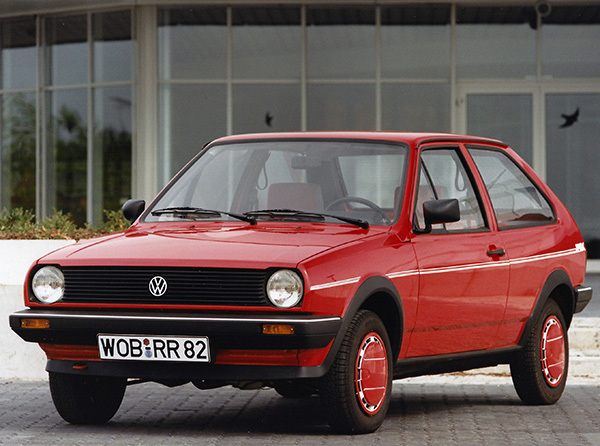 The second-generation Polo was heavily face-lifted in October 1990. New softer front and and rear styling with larger integrated bumpers made the car appear more modern, yet when viewed in profile, the similarities to the 1981 original were clear. Kept as an entry-level model to both the Polo and Volkswagen ranges, the Fox reverted back to the template set by the first model in 1984. Flat steel wheels and special side coachline graphics marked out the new version. A lack of rubber side protection strips also pointed to the fact that this was the most basic Polo. 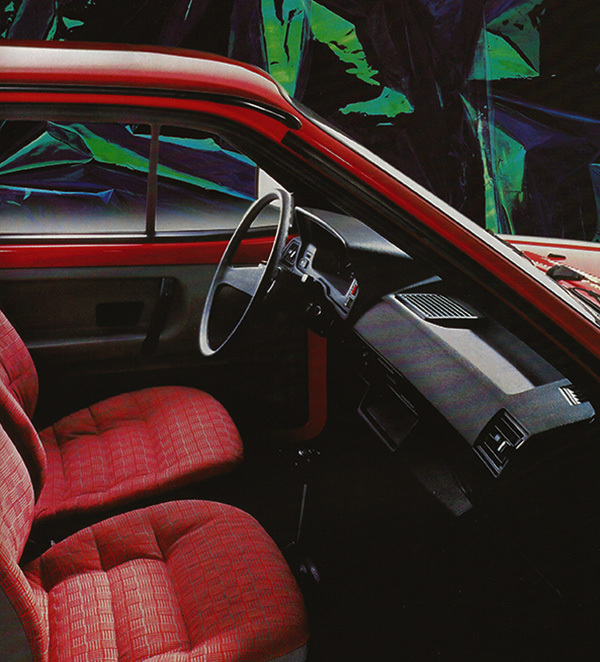 Taking the 1984 Polo Fox’s garish interior gauntlet and running away with it quite spectacularly, the 1990 Polo Fox’s cabin was upholstered in ‘Tricolour Diagonal Stripe’ cloth. 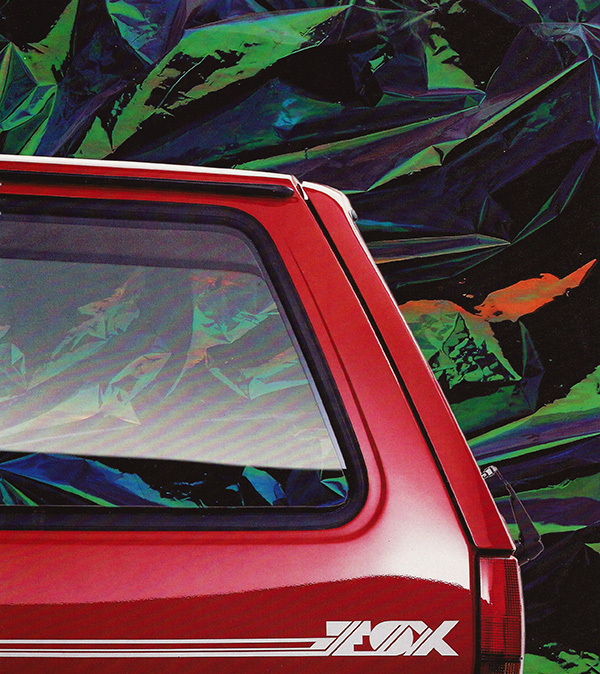 A pattern which featured blue, magenta and bright green pinstripes over a grey background, it covered both the seats and door panels, making the new Polo Fox’s interior a very distinctive place to be. A new three-spoke steering wheel was one of the Fox’s unique features. But, it missed out on luxuries fitted to higher-spec models such as a centre console, cigarette lighter, height-adjustable driver’s seat, internally-adjustable door mirrors, clock, trip mileage recorder, rev counter, glovebox lid, and vanity mirror on the passenger sun visor. Standard colours were Tornado Red, Maritime Blue, Caribbean Green, and Alpine White, while optional shades included Calypso metallic, Royal Blue metallic, Pearl Grey metallic, and Diamond Silver metallic. A choice of a single engine – the revised 1043cc unit now with single-point fuel injection and 45bhp – helped simplify the decision-making process. The price at launch was £6,500. The Belgian market saw a special edition Fox model launched in March 1992. Basically a CL denuded of its wheel trims and available in a range of 10 colours, special equipment included an analogue clock, a centre console, radio preparation with two speakers and a manual aerial, height-adjustable driver’s seat, internally-adjustable door mirrors, tinted windows, passenger sun visor vanity mirror, and surely the most covetable option of all, a manual tilt and slide sliding steel sunroof. For the 1993 model year, the Polo Fox received a revised fuel-injected version of the 1272cc 55bhp engine in some markets. Carburettor-fed versions of both the 1043cc and the more powerful engine were also sold in selected territories. A 48bhp diesel version also appeared in mainland Europe. Standard colour choice was extended in certain countries to include Classic Red, while optional paint finishes now featured Black, Tornado Red, Windsor Blue metallic, Mint metallic, Montana Green metallic, Brilliant Black metallic, and Pearl Grey metallic. The last few months saw small changes to the Polo Fox range. UK models featured side protection strips, while a radio was an optional extra. The 1043cc petrol engine remained the only UK power option. The third-generation Polo arrived in August 1994 and was quite a different proposition to its predecessor. New safety systems, a roomier body (with a five-door option), a more expansive engine range and host of mod cons finally brought the Polo into the modern age. 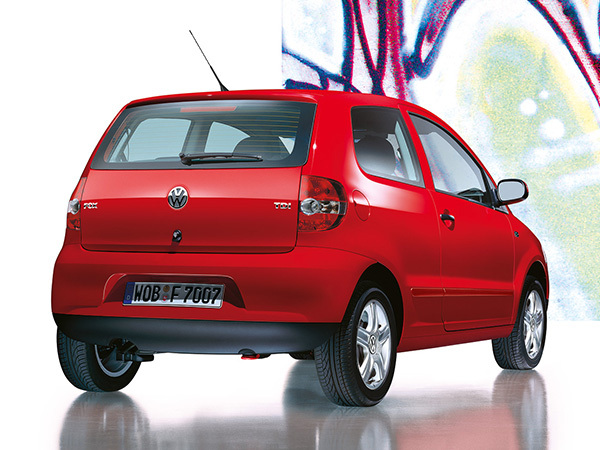 Selected European markets enjoyed a ‘Fox’ entry-level model, the last time the name was to appear on a Polo. Once again, a 1043cc engine developing 45bhp powered the most basic Polo, but this time around, defining features of the Fox were limited to rear badges. No bumper pinstripes or colour-coded graphics here. The third-generation Polo was a much more serious proposition than the Mk 2, and so boasted colour-coded and integrated bumpers as standard. Wheels were still made from steel, with central plastic covers hiding the bolts, while a rear-mounted roof aerial and colour-coded wing mirrors leant a more upmarket air. Mainland Europe third-generation Polos were bought through a ‘building block’ system, whereby buyers specified an engine package, and ‘bolted on’ various packs and paint finishes available to them. Therefore. it’s hard to pinpoint the exact specification of the early entry-level Fox/‘Basis’ models. But, we think the very first entry-level cars were specified with ‘Beta’ radio/cassette players with four speakers, height-adjustable front seat belts and ‘Mistral’ upholstery. Standard colours were Candy White, Apricot, Chagall Blue, and Pistachio. Optional schemes included Flash Red and metallic shades Windsor Blue, Storm Grey, Electronic Green, Light Blue, Dragon Green, Memory Red, as well as Black Magic Pearl Effect. 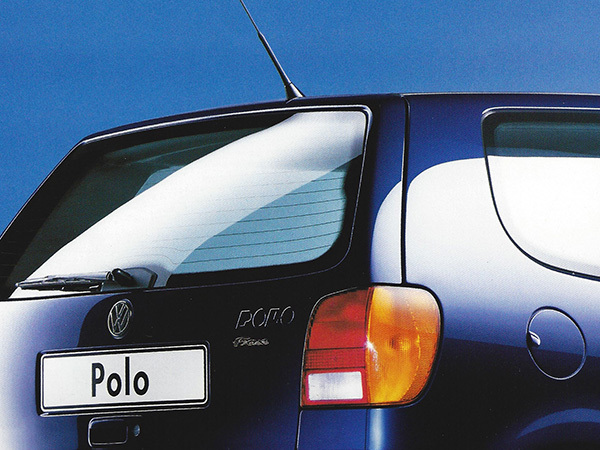 Later in 1995, the ‘Fox’ name became the replacement title for the ‘Mistral’ upholstery pattern, therefore ending its association with special edition and unique Polo models. The entry-level connotations with Volkswagen’s Fox name were re-established in 2005, with the introduction of the Fox, a basic model built and sold in Brazil and also exported to Europe. A small car sitting under the Polo in Volkswagen’s model range hierachy, the Fox took the historical VW name and applied it to a plain-looking three-door hatchback. A brace of petrol engines powered VW’s latest baby on its UK arrival. The most basic cars were fitted with a three-cylinder, 1.2-litre 55bhp engine, with a 1.4-litre 74bhp unit for higher-spec versions. A 74bhp three-cylinder 1.4 TDI PD engine was available in selected European markets. All were borrowed from the then contemporary Polo. There’s no doubt the Fox was a back-to-basics small car, with some entry-level versions even having unpainted bumpers similar to the late second-generation Polos. Critics claimed that VW’s fabled build quality faltered with the Brazilian-made Fox, and with the arrival of the more modern and sophisticated Up city car in 2012, the Fox name was consigned to the history books, in Europe at least. The model is still sold in certain South American markets and has been updated to reflect the latest VW design language. It’s synchronistic that VW chose ‘Fox’ as the name for one of the earliest Mk 2 Polo special editions and entry-level models. In 1969 the company acquired the rights to the name by purchasing NSU. The NSU Fox was a motorcycle dating from 1949, while Australian and US-bound Audi 80s produced in the 1970s also used the ‘Fox’ badge. Volkswagen itself also produced an earlier Fox model. A variant of the mid-sized Gol hatchback, the Fox was an entry-level ‘sub-compact’ saloon car, sold in the US between 1987 to 1993. Available with two or four doors or as a two-door ‘wagon’ (estate), it was powered by an 80bhp 1.8-litre engine, with four and five-speed transmissions.